Every Montessorian has heard the phrase, "Follow the child." It reminds us that we learn how to guide each child from the child himself. We know that observation is our strongest tool for preparing material and the environment, as well as for effectively helping our students enjoy successful learning. 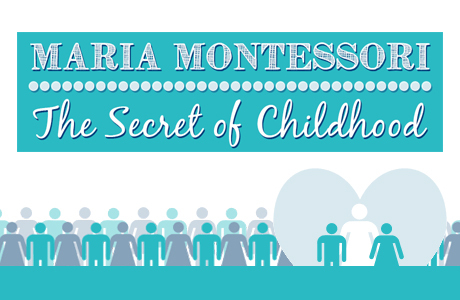 Maria Montessori developed these key principles by spending years working with children during the evolution of the first Casa Dei Bambini- The Children's House. Though it may seem to us now that her ideas and findings make perfect sense, at the time they were considered radical; even she was surprised at many of the skills the children exhibited. Montessori chronicled her journey and some of these revolutionary educational discoveries in a book called The Secret of Childhood, first published in 1936. Please enjoy this infographic, which features some of our favorite aspects of this wonderful work!